A stunning driveway is crucial to the design of your home. Although sometimes forgotten or neglected, the driveway is the first thing people see when they enter your property and should therefore be given careful consideration. It is essential that the material you choose for your driveway aligns with the aesthetic of your home. Not only should your driveway look good, it should also be durable and low maintenance. In this week’s blog, we share the best materials to pave your driveway with. Exposed aggregate is a durable, skid-resistant and low maintenance material to pave your driveway with. It is distinct from other paving materials in that the finish is achieved by removing a thin layer from the top of laid concrete, revealing the natural textures and colours of the aggregate. Besides from exposed aggregate being a sturdy paving choice, it also looks beautiful and is extremely effective in comparison to other driveway materials. Another popular driveway material is concrete. The benefits of concrete include its versatility, durability and sleek finish. 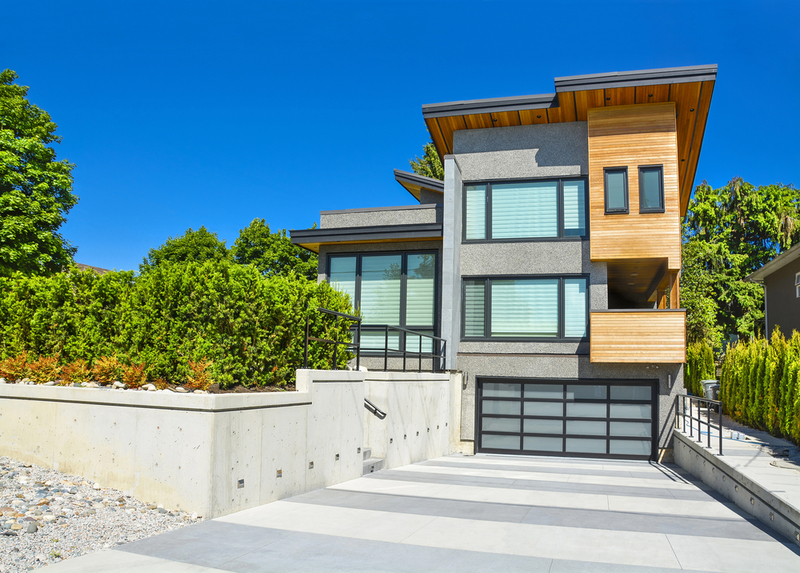 Designed to suit a variety of architectural styles, concrete can seamlessly complement the design of any home. The simplicity of concrete also ensures that it will remain timeless throughout the years. For a more inexpensive paving choice, concrete is the way to go. There are two concrete paving looks to choose from: coloured concrete and textured concrete. Coloured concrete is created by mixing oxides through the concrete and then finishing it with a high quality sealer. The results are long-lasting and stunning. The other option, textured concrete, became popular in the later 80’s and 90’s. It features a decorative paving look and can be done in either stencil or slate. With a wide range of colour and pattern combinations available, textured concrete is a fun and different paving material for your driveway. At A Better Driveway, we offer expert concrete services. Choose from exposed aggregate, coloured concrete or textured concrete to create an elegant yet heavy-duty driveway. Call us at (03) 9308 6112 to get a quote today.